Keri Burnstein is an associate attorney at the law firm of Kathryn Wayne-Spindler & Associates. She has a reputation for detailed and compassionate representation. 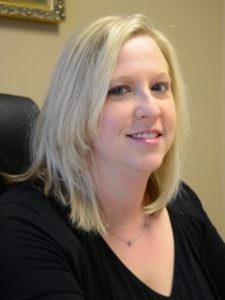 Like the rest of the Kathryn Wayne-Spindler & Associates team, Keri brings experience and attentiveness that is crucial in sensitive family law cases. Keri has built her family law career around helping families with divorce and separation; custody and visitation; support; and post-judgment modifications. She earned her law degree from Wayne State University and was admitted to the Michigan State Bar in 2002. Keri has said, “Let me help you during this traumatic and confusing time in your family. I’ll negotiate with patience, common sense, and creativity. I will provide you with the compassion, integrity, honesty, and personal service you deserve.” She can draft simple to complex legal documents to craft what you need for your legal matters. She will take the time to listen and develop the relationship needed to meet any client’s expectations for assistance. “Having a young son, I understand first-hand the importance of resolving family conflicts with as little disruption to the children as possible,” said Burnstein. As a member of the Kathryn Wayne-Spindler & Associates team, Keri Burnstein brings years of experience; an attention to clients’ legal and emotional needs; and a passion for making clients’ tough situations better.